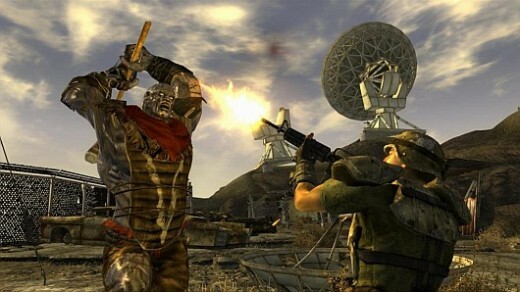 With New Vegas, Bethesda has taken its post-apocalyptic brand of open-world rpg goodness from the bleak and ruined U.S. capital to the energetic and spirited Las Vegas strip for a journey that’s as engrossing as ever. Neon lights glow brilliantly into the night, as shady gang members and would-be high rollers roam the streets. It’s an escape from the grim and unforgiving wasteland made possible by one Mr. House, the mysterious ruler of New Vegas. As a silent courier, you were tasked with delivering a very important item to the New Vegas Strip, but was ambushed, shot, and left for dead. Fortunately, you don’t die easy and now you must seek retribution against the man who tried to snuff you out. 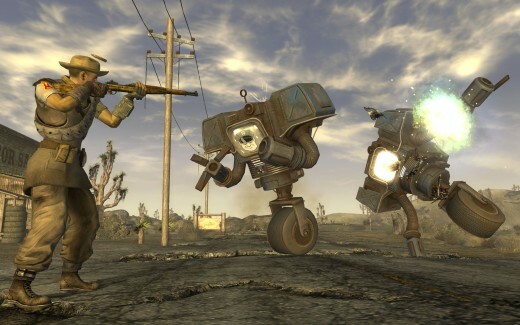 The main difference between New Vegas and Fallout 3 are the numerous factions. At least a dozen different groups inhabit the Mojave Desert and New Vegas waiting for you. While a few groups can be easily labeled as being “good” and “evil”, most are more of a shade of grey. The New California Republic is a massive army who expansionist ways have put them at odds with many of New Vega’s residents. Caesar’s Legion is a barbaric group obsessed with executing the weak and sinful. The Boomers are xenophobic tribe who worship explosives, sending missile barrages towards any outsider who dare approach. The White Glove Society is an unsettling club of privileged snobs with a rather…exotic appetite. Your behavior around a group will determine how they view you. Stay on a faction’s good side and they’ll shower you with gifts and quests and may even aid you in battle. Rub a group the wrong way, and they won’t give you the time of day. Really get on their nerves, and they may go as far as to actively hunt you down. Since alienating yourself from a faction will close off mission they’d have otherwise given, it’ll take multiple playthroughs (or some back-up save files) to experience everything this game has to offer. The choices in this game carry a heavy weight. There was many a time where I had to do some serious consideration before deciding on a path. The decisions you make affect the world in dramatically flexibility in the decision making is fantastic. 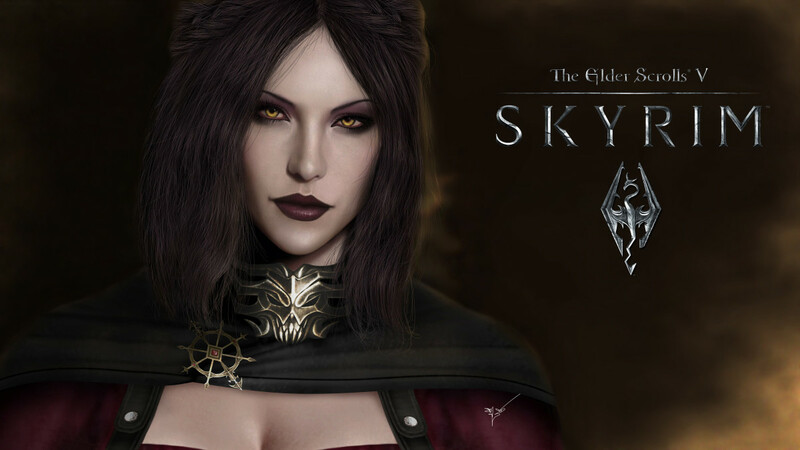 With so many options, I could cooperate, betray, or use anyone I wanted and really felt like I was steering the story and my character the way I wanted them to go. Your character’s skills play a much bigger role in the dialogue, as numerous choices can be made based on how high an individual talent is. Complimenting this system are magazines that provide a temporary skill boost to help under-powered players. The world is even more massive than Fallout 3’s Capital Wasteland. While you’ll still spend most of your time exploring dilapidated towns, creature-infested caves and abandoned vaults, there are pretty interesting areas. Mining quarries, deserted airfields, resorts, and even an underwater cave are just a few of the distinctive and interesting areas of New Vegas. The centerpiece of the world is The Strip, a neon-lit spectacle. I had only just arrived there but I immediately wanted to check out every building. 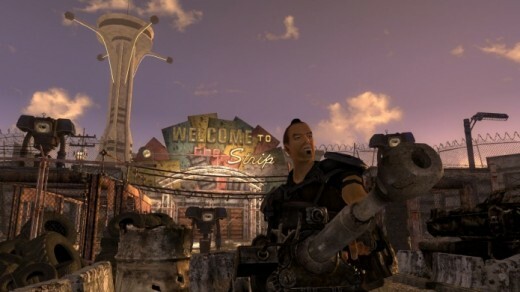 Teeming with a number of casinos that are as fun to discover as the factions behind them, The Strip has more character than any location I visited in Fallout 3. Despite how attractive the Strip itself is, though, the lack of NPC’s don’t allow it to really come alive the way it could have. 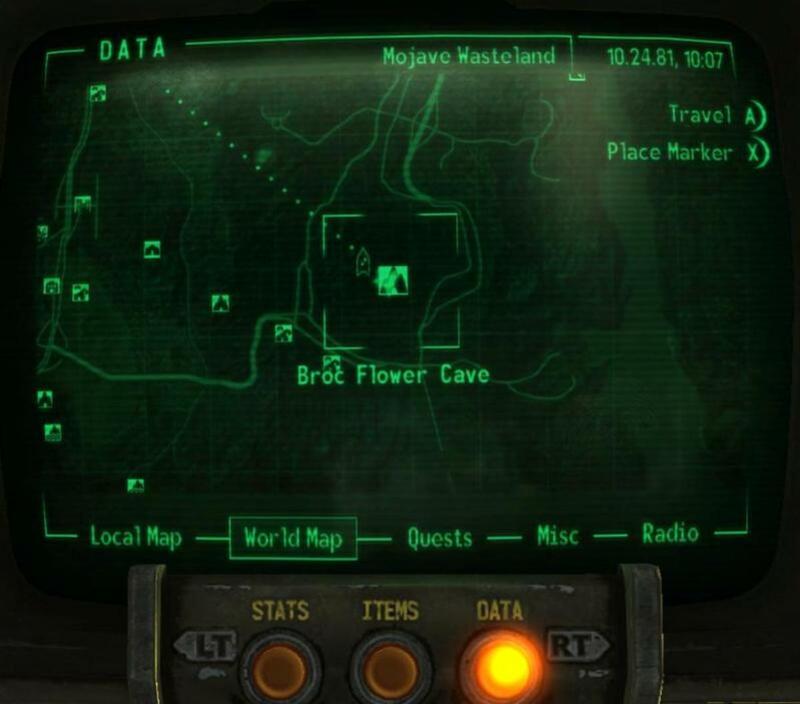 Regardless, the world is amazing and I spent countless hours exploring every nook and granny of the Mojave uncovering more locations and discovering the quest they contained. At one point, I had about a dozen active quests and didn’t return to the main story for hours. If that’s still not enough to do, hit the Strip for a game of black jack, roulette, or challenge NPC’s to a rather addicting card game of called Caravan. The companion system is handled much better thanks to a new companion wheel that eliminates the hassle of entering conversations to enter commands. In this handy little menu you can change your buddy’s tactics, combat aggression, and have them follow or hold back. 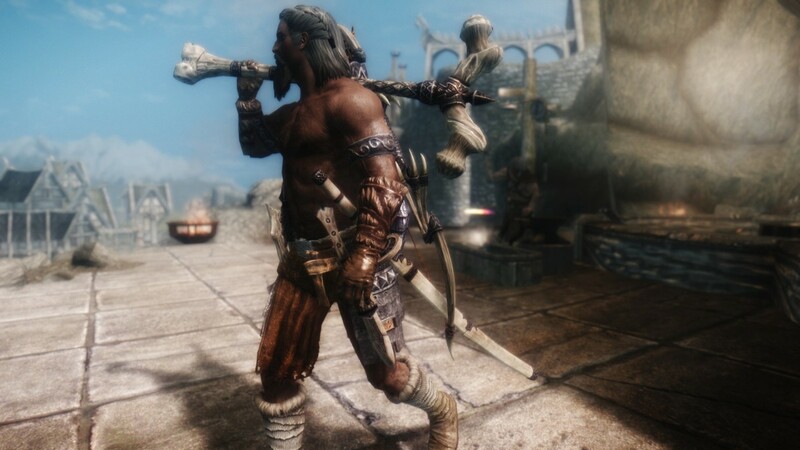 My favorite use for them was as moving storage units, giving them all of the weapons and items I couldn’t carry so I was rarely over encumbered. 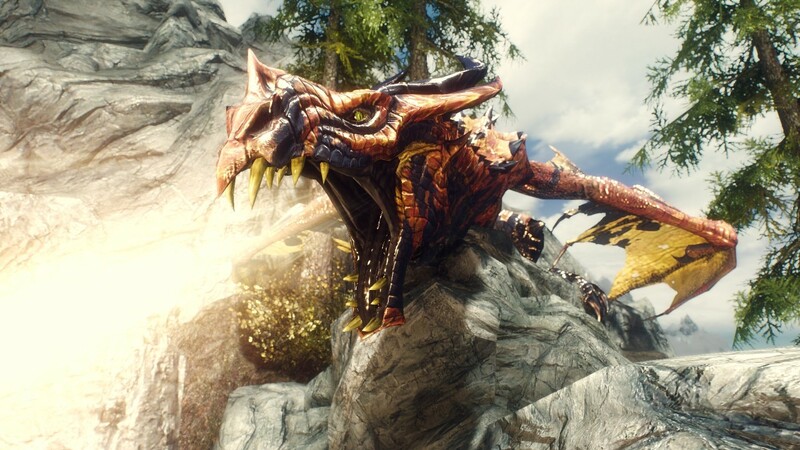 You can have up to two companions at a time (a human and non-humanoid) and each come with a unique perk and can even unlock quests. I always kept my party full as the extra hands proved invaluable in many of the game’s more challenging scenarios. Combat has received some improvements. Using V.A.T.S. to pop off limbs is still satisfying Weapons can now be modded with scopes and other objects to improve rate of fire and ammo size. Iron sights are present for most guns and while it’s a nice addition, it didn’t discourage me from entering V.A.T.S. during most battles. 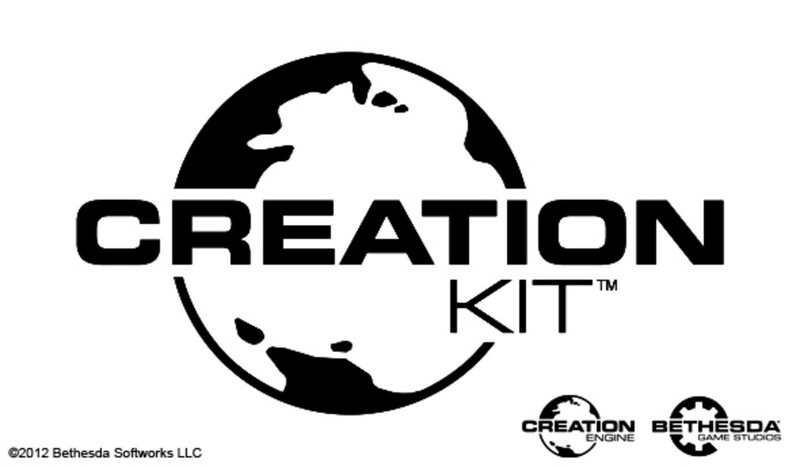 A new crafting system allows you to create and recycle ammunition, food items, and different poisons and medicines. Now we’ve come to the preverbal elephant in the room. The bugs in this game are well documented and while numerous patches and updates have fixed most of them, there are still a number of issues left. These included getting stuck in the terrain thus forcing me to load a previous save, several game freezes and even a few instances of being kicked to the title screen without warning. It’s one thing to experience slow down or clipping, but for the game to crash when I’m simply walking around is unacceptable. Other problems such as floating characters, terrain maps and foliage are also prevalent. These problems don’t break the game entirely but they’re supremely annoying, more so by principle they’d release a game buggier than the desert it’s set in. If you can weather the storm of technical bugs, you’ll be rewarded with an immersive and addicting experience. 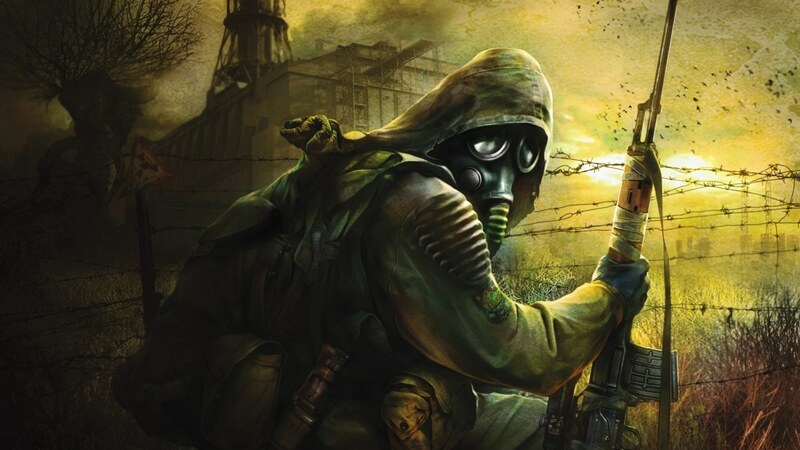 Fallout 3 is one of my favorite games of this generation and while it would have been nice to see a few innovations made, I can’t blame Bethesda for sticking with what works. It’ll break on you, but when it works, it’s as entertaining as any game you’ll ever play.